Retrobike was born in the garage, raised by Jeff Ware and abducted by Geoff Seddon. Retrobike gives this growing community, motorcycle restorers and the businesses that service the community a magazine of their own. 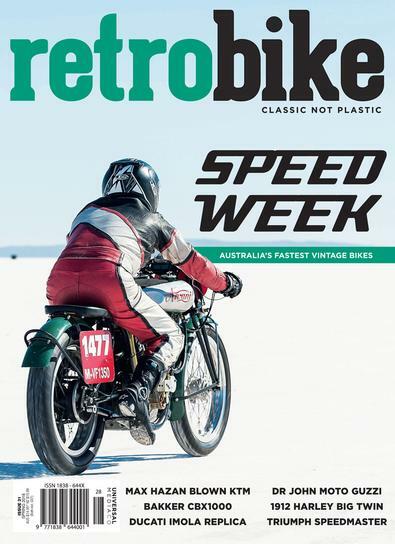 Every issue of retrobike is a true collector’s edition, as we aim to be the journal of record for Australia’s finest classic and modified bikes. I have found Retrobike great info.